BE A JERK…A SODA JERK THAT IS! 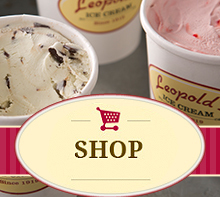 Leopold’s Ice Cream will host a job fair at their 212 E. Broughton Street location on Saturday, May 2nd from 8-10am. All positions are being sought including Soda Jerks, Assistant Managers and Catering Crew. Applicants should bring a pen, come dressed for success and be ready to eat some ice cream! Leopold’s is looking for prospective employees who are…happy, committed to hard work and excellence, detail oriented, good with people, high-energy and friendly with a positive attitude. If you have a desire to be promoted, natural and exceptional customer service skills and a strong work ethic, Leopold’s Ice Cream wants to meet you on Saturday, May 2ndfrom 8-10am. Part-time, full-time and “as-needed” positions are available.